Hansi will be making a guest appearance on the new The Unguided album entitled Fragile Immortality. Hansi shares the vocal duties on the track “Deathwalker”. 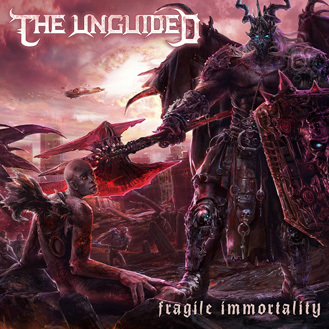 The Unguided play a type of heavy metal quite different than that of Blind Guardian’s which makes it all the more interesting to hear Hansi’s performance on this track. The single for the track “Inception” was released on December 21, 2013 and can be found on iTunes and Spotify. The video can be seen below. If you want to purchase Fragile Immortality have a look HERE and/or HERE.